Musculoskeletal specialist Naomi Albertson M.D. outlines common ski and snowboarding injuries, discussing their causes and explaining how many can be avoided by maximizing athletic performance. Special attention is paid to the roles training and nutrition play in maximizing athletic performance and helping to prevent injury on the slopes. What are the most common ski and snowboarding injuries, and how do they occur? Maximizing athletic performance helps reduce injuries. Proper preparation and nutrition are essential to maximizing performance. Dr. Naomi L. Albertson is Board Certified by the American Academy of Family Physicians and specializes in the non-surgical management of musculoskeletal problems, sports injuries, concussion management, and the treatment of osteopenia and osteoporosis. She is a frequent speaker on the latest in medical research and how it is practically applied to patient care. One of Dr. Albertson's favorite aspects of her profession is helping people of all ages stay active and living the lifestyle they want. 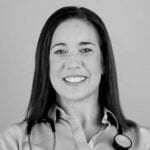 Currently she specializes in sports medicine and musculoskeletal conditions at the Reno Orthopedic Clinic. She is also the owner of Dr. Ni’s, a supplement company focused on providing frame support for middle age and beyond.